This elegant slat back dining chair from OSP Designs is sure to bring an added dose of style to any dining room. Complete with a black metal seat and black metal frame, this chair can withstand a busy, yet elegant home. Bristow Metal Black Slat Back Armless Dining Chair with Black Metal Seat - (Set of 4) This elegant slat back dining chair from OSP Designs is sure to bring an added dose of style to any dining room. Complete with a black metal seat and black metal frame, this chair can withstand a busy, yet elegant home. 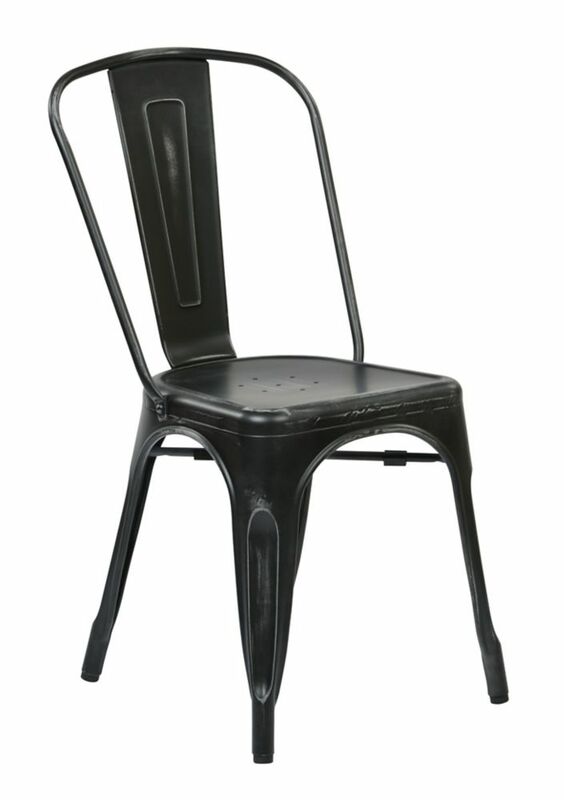 Bristow Metal Black Slat Back Armless Dining Chair with Black Metal Seat - Set of 4 is rated 5.0 out of 5 by 1.